Do Emergency Rooms Handle Dental Emergencies? Emergency rooms are usually the first destination after every crisis. Whether it’s a simple cut on your finger or a serious car accident with multiple fractures, usually you head to the emergency room. According to the Centre for Disease Control and Prevention, the National Hospital Ambulatory Medical Care Survey conducted in 2016 revealed that a staggering 130.4 million ER visitations were made in USA. That’s a lot of people going to the emergency room every day. Unfortunately, when it comes to the most people there is a certain level of confusion or misinformation about the services offered at emergency rooms and the differences between urgent cares and emergency rooms. At SignatureCare Emergency Center, we pride ourselves on putting patients first and ensuring little to no wait times. Which eliminates some of the frustrations of visiting a typical hospital ER. Not only do we handle medical emergencies, we also handle dental emergencies. We are open 24 hours a day and function exactly like a hospital based ER. When urgent care centers are closed, we are open. There is nothing more frustrating than having a tooth ache, abscess tooth or tooth infections in the middle of the night, and your dentist is closed; even worse during the weekend or on a holiday. One common question given to Hospitals and Free-Standing Emergency Rooms alike is whether or not ER’s handle dental emergencies. The American Dental Association (ADA) Health Policy Resources Center revealed that the number of people visiting the ER for dental emergencies doubled from 1.1 million in 2000 to 2.2 million in 2012. Trauma– This is the number one cause of a visit to the ER. Any minor or major accident that results in an injury is categorized as trauma. Chest Pain– It can be of cardiac origin (eg angina pectoris which may/may not lead to myocardial infarction), respiratory origin (eg asthma , COPD, pleuritis, etc), gastric origin (eg dyspepsia), muscular origin (eg costochondritis) etc. Fever– Patients most commonly present with pyrexia due to unknown origin (PUO). Miscellaneous– This category includes loss of unconsciousness in the absence of trauma, any acute illness or exacerbation of an old one, DKA, pain in any region, etc. SignatureCare Emergency Rooms are equipped emergency rooms to deal with just about any medical emergency. Yes, SignatureCare ERs handle dental emergencies. 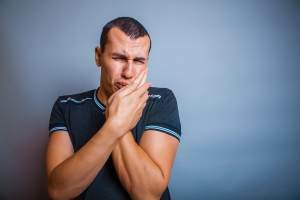 If someone suddenly developed severe bleeding from the gums or anywhere inside the oral cavity, severe infection with pain, chipping or loss of one or more teeth, jaw break, injury to the tongue, severe toothache, etc they can be taken to any of our SignatureCare Emergency Room locations. They will be given analgesics to sooth their discomfort. This can be in the form of oral painkiller tablets, intramuscular injections or intravenous injections administered via a drip depending upon the case. Efforts will be made to stop any bleeding if present. In cases of severe blood loss, the blood type will be assessed and immediate transfusions will be arranged. A set of routine laboratory tests such as CBC, random blood sugar, LFTs etc may be sent in, if need may be. Infection will be treated as necessary with antibiotics. Once patient is stabilized, then he/she will be referred to a dentist for extractions etc. If you are suffering from a dental emergency and your dentist is closed, don’t suffer in pain. Visit the closest emergency room 24 hours a day and get relief fast. The Signature Care ERs operate in Austin, Sugar Land, College Station, Montrose, Houston Heights and Memorial City. All these ERs are fully functional emergency rooms, equipped with state of the art facilities and are staffed with board certified physicians available 24 hours a day. If you are looking for more information, you can visit any of our emergency rooms 24 hours a day. You can make an appointment or check in online 24 hours a day- Or simply walk in whenever you are sick, injured or need medical care.